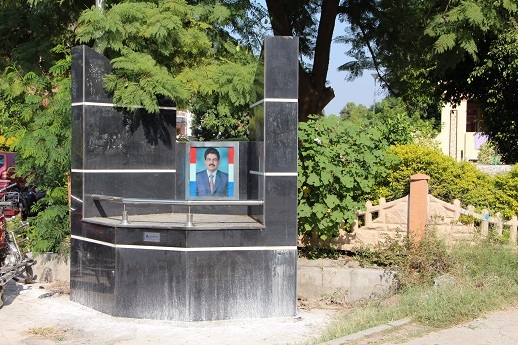 Six years on, justice for the murdered Pakistani Christian federal cabinet member Shahbaz Bhatti remains elusive, as does the social equality for which he gave his life. The Christian community says the Pakistani political leadership is not doing enough to ask the police and the judiciary to ensure his killers are brought to justice. Bhatti, a Catholic, was killed leaving his Islamabad home when gunmen peppered his car with bullets, hitting him several times on 2 March, 2011. Before leaving the scene, the assassins scattered leaflets that called him a “Christian infidel”, and stated he was killed for heading a committee set up to review Pakistan’s blasphemy laws, which forbid insulting Islam, and have potential for misuse, especially against religious minorities. Right after the assassination, the Deccan Herald noted that the 42-year-old minister had also been targeted for supporting Asia Bibi, a mother of five who was convicted of blasphemy against Muhammad and handed a death sentence in November 2010. Asia Bibi remains on death row, the blasphemy laws still create fear, and only last month Pakistan’s Dawn newspaper quoted religious affairs minister Sardar Mohammad Yousuf as saying that the federal government would reject any reform of the legislation. “The law will remain as it is and those blaspheming … will face the gallows,” he said. For two years after Bhatti’s assassination, the police said they had no leads regarding his death. Then in August 2013, a suspected militant from the Tehreek-e-Taliban Punjab confessed in police custody that he, along with others, had killed the minister. Hammad Adil had been arrested for an attempted attack on a Shi’ite mosque and for “planning attacks on some key installations in Islamabad”. The police recovered a vehicle from his residence, loaded with 120kg of explosives. During investigation, Adil confessed that he and Muhammad Tanveer, a Tehreek-e-Taliban Punjab ringleader in Islamabad, had also taken part in the killing of Bhatti, with the help of another man, Umar Abdullah, who’s confessed to involvement, but who is out on bail for medical reasons. According to investigators, Adil guarded the minister’s house and prepared the plan, while Tanveer provided the AK-47 rifles and other weapons used in the ambush and Abdullah provided the car. Shahbaz’s brother Sikandar told police in a statement that he and two other brothers, Akmal and Rehan, had been visiting Shahbaz with the then-Punjab Assembly member Tahir Naveed Chaudhry. “My brother was going to attend a cabinet session and asked us to come along with him. Shahbaz asked Tahir to have us in his car and follow him,” he said. Three or four attackers opened fire on Bhatti’s car after it had been travelling only a short distance, but his driver, Gul Sher, was unhurt. Sikandar Bhatti told World Watch Monitor that Gul Sher had seen the gunmen close up. Although Gul Sher was the only on-the-spot witness, Pakistani law requires two witnesses for such a prosecution to proceed, so the Bhatti brothers have become involved in Gul Sher’s absence. Sikandar has become a complainant too, when the State should have led on the case. Akmal Bhatti, a lawyer, told World Watch Monitor that he had been appearing in court to testify about Shahbaz’s death when he came into contact with the terrorists. “When I was quite active [in pursuing the case], I received a threatening letter which said that if I would further pursue it, then I would also be murdered. I presented the letter to the Faisalabad police where I live and lodged an FIR [First Information Report] after which security was provided for my safety,” he said. Shafqat Ali, a police constable who serves court notices, told World Watch Monitor that he has served notices to Tahir Naveed Chaudhry and Akmal Bhatti, but that their formal statements are yet to be recorded. In January 2015, police moved Bhatti’s case to a more secure military court system, because it came under new anti-terrorism legislation brought in after the Peshawar school attack of December 2014. This was one of the first cases to be picked up by the military courts, as terrorists suspected in several other cases are related to it. The new law allowed military courts to operate for two years, but the State is not pushing for this particular case to progress; although it is holding its hearings in Adiala Prison in Rawalpindi. However, the trial is not receiving testimony from the key witnesses amidst fears that Pakistani Christians, who are socially and financially disadvantaged, would feel unable to risk their lives testifying against a terrorist outfit. Another of Shahbaz’s brothers, Paul, has been brave enough to return to visit Pakistan at times from Italy, where he’s lived for many years, He’s been inspired by his brother’s bravery in being willing to lose his life for the sake of his beliefs and action. Bhatti had been an activist for most of his life. As a student he founded the Christian Liberation Front, which became the All Pakistan Minorities Alliance, which formed an alliance with the Pakistan People’s Party (PPP), which then won general elections in 2008 and set up a government. The PPP created a ministry of Minority Affairs in November 2008 and appointed Shahbaz Bhatti as its first minister.